I have always been fond of shopping online. When I have difficulty looking for a particular item in a department store, I usually resort to shopping via the world wide web. Lazada Philippines, the fastest-growing online shopping destination in the country, is one of my go-to sites as they carry almost everything from electronic gadgets, apparel, home decor, books, DVDs to beauty products. They offer a convenient, worry-free online shopping experience with free delivery available, 7-days returns policy, and cash on delivery. 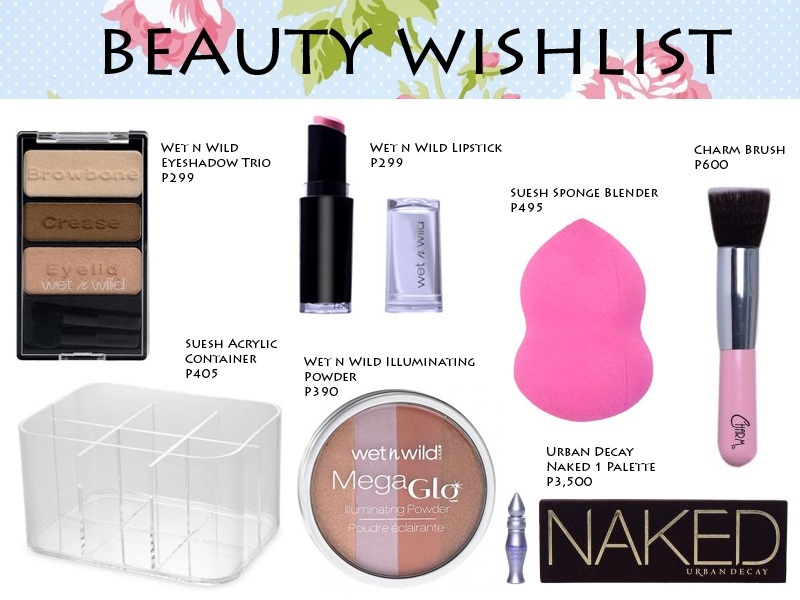 Out of all the drugstore brands, Maybelline, Revlon and Wet n Wild are my top favorites. I really like Wet n Wild's Color Icon shadows and I'm so pleased Lazada carries them. I swear they are so pigmented! I heard their MegaLast lipsticks and illuminating powders are wonderful as well. You may check out the other WnW products here. I am very happy with all the colors of my Urban Decay Naked 2 so I'm really interested to see how Naked 1 compares. These palettes are perfect for me because when it comes to eye make-up, I'm partial to neutral shades. Both of these UD items are currently on sale right now so better hurry because there are only a few pieces left! Aside from make-up, I also need to purchase a couple of beauty tools and accessories. I'm eyeing this cute flat top brush from Charm. I read a lot of reviews about this and it's supposed to be really good in blending your foundation. Speaking of brushes, I badly need to get this acrylic container from Suesh because I need something to hold all my make-up tools. I also want to get this Suesh pink sponge because it's a great alternative to the Beauty Blender.